We have $25.00 Freebuys each week night at Americas Card Room @ 9pm ET! Come join us in Chat and listen to some tunes during he game. We have bounties galore and Live broadcasts on Wednesday and Thursday nights. Good cards, good people, good fun! Password will be posted IN CHAT each night or announced ON AIR (Wed & Thu only) one hour before start of tournament @ 8pm ET. Bounties are posted in chat after the start of the game, not before! The number and values of the bounties vary from night to night. Bounty postings occur regularly in Chat. Do not continually ask who they are. 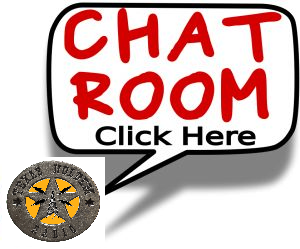 Either write them down, scroll up in chat, use the Chat History link, or wait until they get posted again. Continually asking who the bounties are IS disruptive to Chat and to the Bounty Coordinators who are playing their own games. Please be respectful of that! You must be in chat and let one of the mods know who you KO'ed to claim your bounty. You will have 15 minutes to claim your bounty before it is forfeited.